The Cosatto Woop Pushchair makes travel faff-free. The from-birth 2 in 1 travel system with built-in pram skills instead of a separate carrycot means converting the stroller to your growing baby's needs is no hassle. 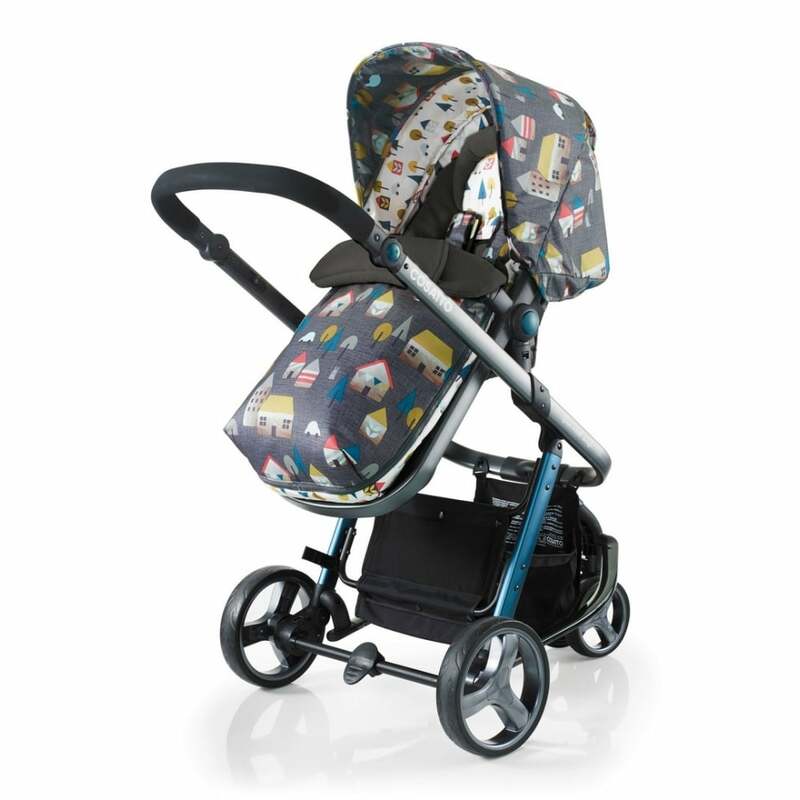 The Cosatto Woop Pushchair has all round suspension for a comfortable ride. 4 recline positions and a seat with both parent facing and outward facing options. The compact, easy fold aluminium chassis has an adjustable handle height to suit you. Quick release removable wheels and lockable swivel front wheels. The bumper bar is removable and the sun visor provides UPF 50+ protection. The hood has built in toy loops and a viewing window with a magnetic close. Showing our 3 Cosatto Woop Pushchair reviews with an average rating of Array. Would you like to write a review? There was no extra cost when purchasing this for our son, which is mainly why we chose it. It included a raincover and bag, which would have otherwise cost us more with other buggies. It is easy to push around and change the seat, so overall a great purchase. Your Review - Functional and great colours! Adore the colour, and it's very functional. Fits in our car boot and also holds our car seat, which is what we needed it for. We have used this since the birth of our son and have yet not been able to find a fault. We chose it because it was affordable and seemed to do everything that any other stroller did. Would definitely recommend, plus I love the pattern.